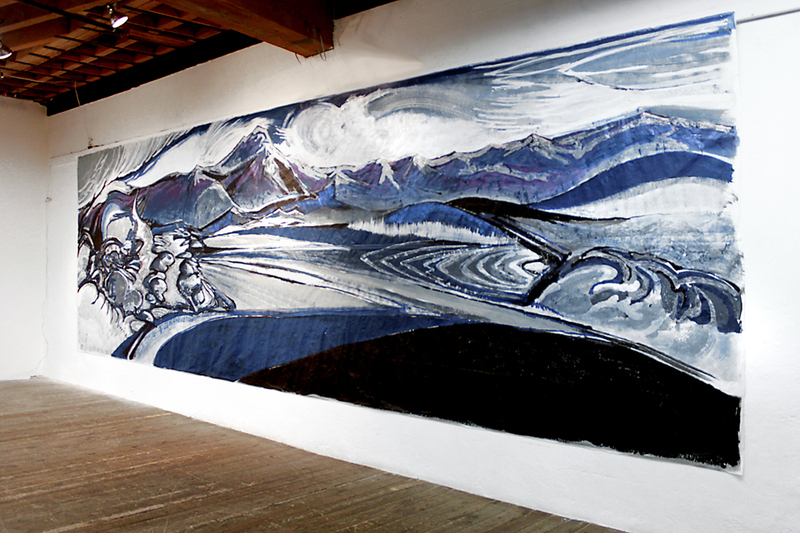 Please have a look images/album from the latest Justyn Zolli exhibit, which shows the great 25′ mural titled ‘Elyseum Pass’ posted here under the ‘murals’ tab. Images include detail shots of this impressive abstract landscape painting. This entry was posted on 01/07/2012 by Justyn Zolli. It was filed under Uncategorized and was tagged with abstraction, Art, artwork, California artist, exhibit, landscape art, large painting, mural, painting.